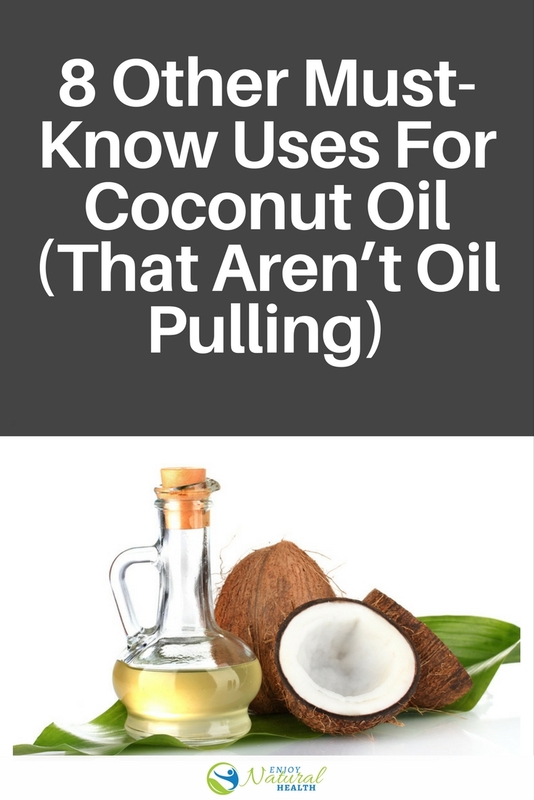 There has been much hype regarding coconut oil of late, especially about "oil pulling". But coconut oil can also be used for weight loss, skin health and even for pets! Find out how about coconut oil here! There has been much hype regarding coconut oil of late, as well as many claims that it is nothing less than a miracle. While it may not really be a cure-all, and what works well for others may not necessarily work for you too, it is still quite handy to keep around. With some little extra resourcefulness coupled up with a dash of some nice creativity, you very easily can find more than a hundred daily coconut oil uses. Classic snack with a great sweet twist to it! In making stovetop popcorn, first, you need the basics of course: a pan (heavy-bottomed). Now, add coconut oil just before adding the popping corn to the pot. Ensure you coat the pot’s base with the oil, using just enough to coat it. Give the pot a little shake so that you can be sure all the kernels have a coat of oil on them. Then, position the pot on your stove, medium heat on. Cover it up, leaving it just slightly open to allow steam to escape. In about five or so minutes, your popcorn will be ready to go. So, after delving into some of the edible gains of coconut oil, next in line is moisturizing. Coconut oil gives a healing, refreshing, moisture burst which goes through your skin working to really heal it (as opposed to simply soaking in and drying up!). It has the tendency to feel a bit oily in the beginning, so only use a small amount. It goes a long way. Allow it a minute to dry and will moisturize your skin beautifully. Apply as a regular lotion. Coconut oil, weight loss? Is there something odd going on? Well, if by any chance you choose to sit around and eat up coconut oil, of course, you won’t lose weight anytime soon. However, try using it in substitution of other fats. As opposed to most of the saturated fats, coconut oil mainly comprises medium chain fatty acids. This difference in molecular structure means it does not get stored away in the form of body fat as rapidly, but rather is sent directly to the liver where it gets metabolized, giving you an energy boost which in turn eases exercising. Consequently, losing weight becomes a bit easier. It also acts as an appetite suppressing agent. If you find yourself craving something you should avoid, then one or two tablespoons of this oil may help with that. Over to pets…. My little puppy had atopic dermatitis, famously known worldwide as the worst of allergies. I’m talking goopy eyes and scabby ears because of scratching too much. He would scratch himself bloody with no treatment. To add to his everyday living, he now gets coconut oil. In all ways, coconut oil assists to nourish dry and irritated, or even inflamed skin, which is what happens as a response to different allergens. If your puppy perhaps chews on their paws staining them pink/red/brown it may help in that department too, because it’s an allergy indicator. Avoid the chemicals as well as fake aromas in everyday moisturizers and throw together your own. I have a custom -made body butter formula that makes the most of the shea spread, coconut oil, some jojoba oil, and crucial oils to create a butter that is awesome for your skin. Slather it on after hitting the shower to secure dampness. At the end of the day, gather your materials: a brush, a small towel that can serve to wrap your hair, a large and a smaller bowl (one ought to fit inside the other), and obviously your jug of natural virgin coconut oil. Wash your hair as normal, then scoop a little measure of coconut oil into the small dish and place it into the bigger one. Add boiling water to the bigger dish so the small dish heats up and warms the coconut oil. Do not let water enter the smaller bowl. While you wait for your coconut oil to come to temperature, brush your hair through. Once the coconut oil is totally dissolved, gently rub the oil into your scalp. (If you have long hair, it might be less demanding to flip your head upside down to apply oil to your whole scalp.) For best results, keep your head wrapped in the towel all night long before rinsing off. Though you may not be quite ready to surrender your Neosporin, you can actually use coconut oil as a topical protector. It can shield wounds from outside contaminants by creating a thin barrier. You can apply some small quantity of the coconut oil on scrapes as well as cuts. There are much more uses for coconut oil, but it’s all up to how creative you can get. Best of luck!